New Delhi [India], March 14 (ANI): Owned by Singapore-based technology giant BIGO Technology Pte. 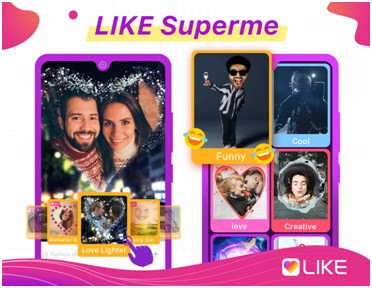 Ltd., LIKE App – a popular short video platform introduces its brand-new photo-editing feature Superme to offer youngsters better video creation experience. New Delhi [India], Feb 4 (ANI)[NewsVoir]: Newstrend, worldwide famous and popularly used news website in the country, has decided to start exclusive live video chat with celebrities, owing to their increasing craze on all social media platforms. New Delhi [India], May 11 (ANI): Hrithik Roshan's video that he came up to motivate people to 'Keep Going' in life has secured the sixth spot in the Top 10 ads of India in the past one month.